The first day of the Women's East Asian Championship second round got underway today in Guam, the four nations involved - Taiwan, Hong Kong, Mongolia and China - were competing for a spot in the final round next year in South Korea. The first round of matches began with Taiwan taking on Hong Kong, then favourites China playing Mongolia. 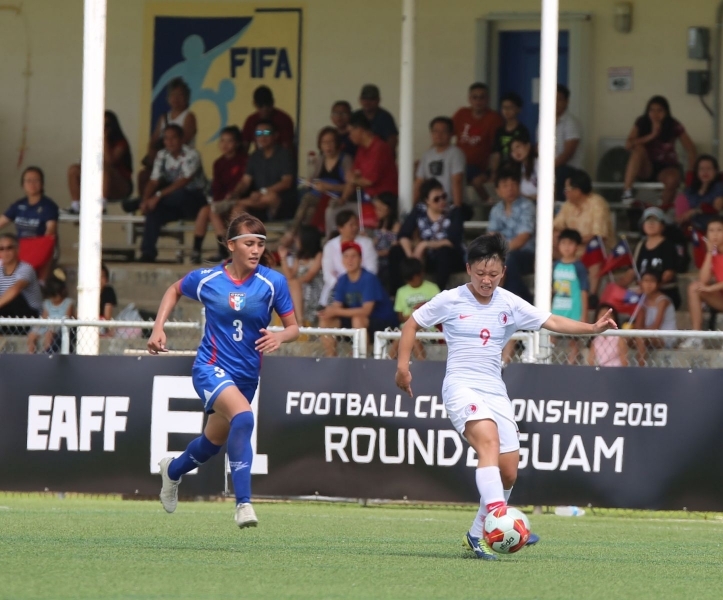 Taiwan vs Hong Kong would normally be seen as a pretty evenly matched game, in both the men's and Women's game but lately, Taiwan's women have improved a lot compared to other Women's sides in Asia. For that reason, Taiwan went into this match against Hong Kong as slight favourites. That slight favourites tag proved to be true, as Taiwan managed to win the game 2-0. They are still on course to do well here, but for them to win the second round they'll need to produce a monumental performance to defeat China. 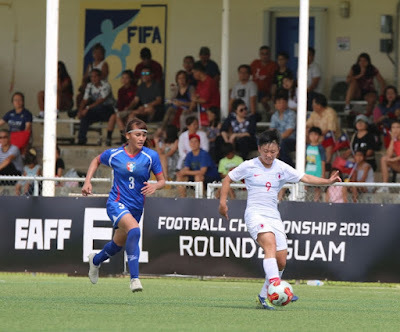 Taiwan should firmly be considered one of the second tier Asian sides in women's football right now as they have proved lately that they can overcome most sides who are considered weaker or an equal. Where they still have major problems is against the stronger sides. In my opinion, they don't believe they can win the game themselves, and if you go into a match not believing you can win you already beat. They need to overcome their inferiority complex to have any chance of defeating China and making it to the final round of the East Asian Championship. China, as expected, made light work of coming up against Mongolia who themselves had to navigate through the first round of the competition to even have the chance of playing in the second round. The huge scoreline was expected, and Mongolia should take heart from making it to the second round, and hopefully, they can build on the experience and not be too downhearted about taking an absolute hiding. China has set the bar high now, by popping 10 goals in the net, this means if Hong Kong or Taiwan want to have a chance of getting through to the final round they both need to go all out in their games against Mongolia to hammer them. If Taiwan score 10 or more against Mongolia then play the 9-0-1 formation against China and come out of the game with a draw, it would then be interesting to see who makes the final round. The likely situation still is that China will defeat both Taiwan and Hong Kong but not as easily as they've defeated Mongolia, therefore, goals will not even come into consideration at the end of the day. I haven't seen anything official about this but normally the East Asian Championship both the men and the women play their matches at the same host venue, not like the women are now at separate venues. 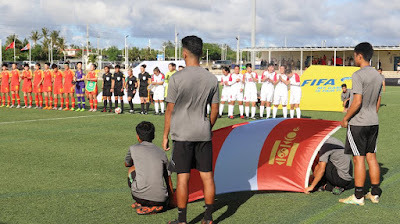 The second round host for the men was in Taiwan, and the second round host for the women is Guam even though Guam were eliminated in the first round means the interest in the games is likely to be minimal. This leads me to believe that China hasn't been willing to come to Taiwan to play the games, its an estimated guess at best but it's definitely the way it looks on paper. This has resulted in the Taiwanese women losing home advantage which might have helped them when they would face the stronger Chinese side, especially as it could have been a slightly hostile environment but that is even highly unlikely to happen for a women's football match, most people wouldn't even know it was taking place. The apparent reason for China being reluctant to come and play in Taiwan is solely down to politics, as recently China has been blocking a lot of international events Taiwan wants to or was supposed to be the host. On top of this China has been putting pressure on international events outside of Taiwan to not accept or allow any entrants from Taiwan, or not allow them to use the Republic of China or Taiwan name in events. So there you have it, that is my guesstimate as to why the second round is being played in Guam instead of Taiwan, it's not exactly a stab in the dark put it that way, and I figure I am right without even checking the facts. My prediction is that China will win, Taiwan will be runners-up, Hong Kong will be third and Mongolia will get the wooden spoon but good on them for winning the first round.